The most advanced solar-powered plan in the world has left Dallas-Fort Worth International Airport. 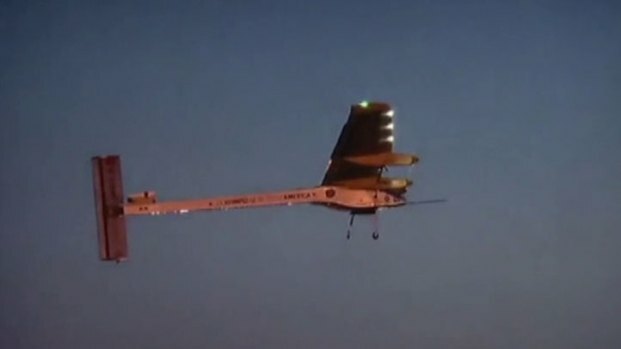 The Solar Impulse landed in DFW on May 23 after spending nearly 10 days in the area. After leaving St. Louis, the plane will make final stops in Washington, D.C. and New York. The plane left San Francisco in early May and spent a few days in Phoenix before flying to DFW. A flight around the world is planned for 2015. 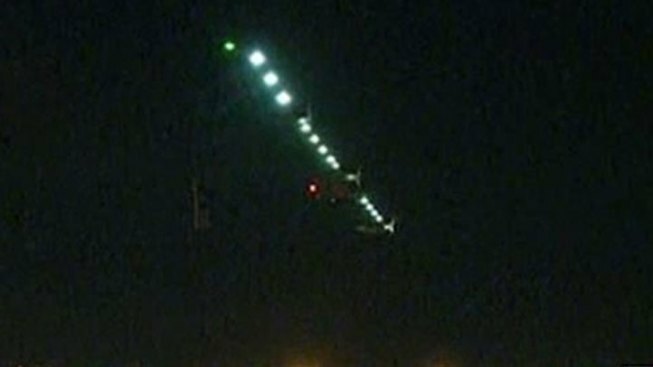 Solar powered Solar Impulse plane to take off from DFW International Airport headed for Lambert St. Louis Airport. Because of recent severe weather in Missouri, the team will use a special inflatable hangar. “It's a revolutionary project. It's the first time an airplane flies day and night on solar power so there's no benchmark. Everything has to be organized, reorganized, rescheduled,” said Dr. Bertrand Piccard, Captain and co-founder of Solar Impulse. "It's the most extraordinary airplane." For example, recent severe weather in St. Louis destroyed the plane's hangar. The team will now use an untested inflatable hangar that was not originally scheduled for use until the solar plane's flight around the world set for 2015. “It's a big adventure,” said Piccard. 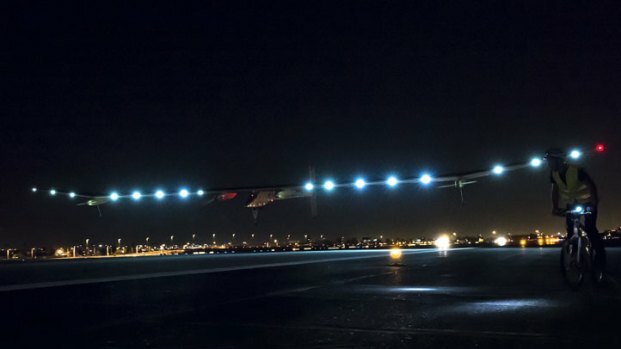 A solar-powered plane that has wowed aviation fans in Europe arrived at Dallas-Fort Worth International Airport at about midnight Thursday. Piccard said the plane is far from an extravagant toy -- its more like a flying laboratory. The plane is equipped all sorts of cutting edge clean technologies and renewable energy sources. “All these [technologies] we are testing on the plane then they can go everywhere on the market for everyday life,” he said. Piccard said the point of the journey is to discover and to teach what we're capable. 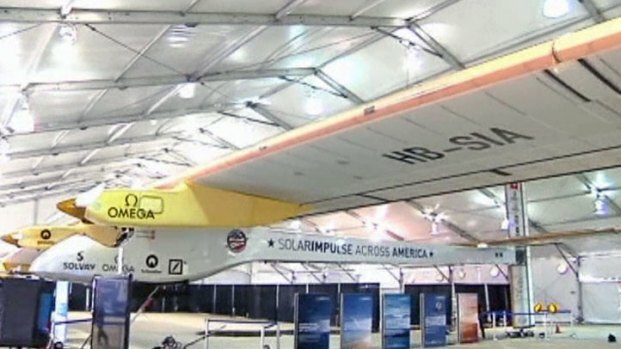 A one-of-a-kind solar plane makes a stop in North Texas. “The unknown, the doubts and the question marks are not enemies, they are stimulations for creativity," Piccard said.